It must be my turn for a bright salad to add some spring to your step! Lately, I’ve been daydreaming about my family trip to Paris last year. One of my favorite evenings started with a visit to the Centre Pompidou, famous for its crazy post-modern and contemporary art installations. 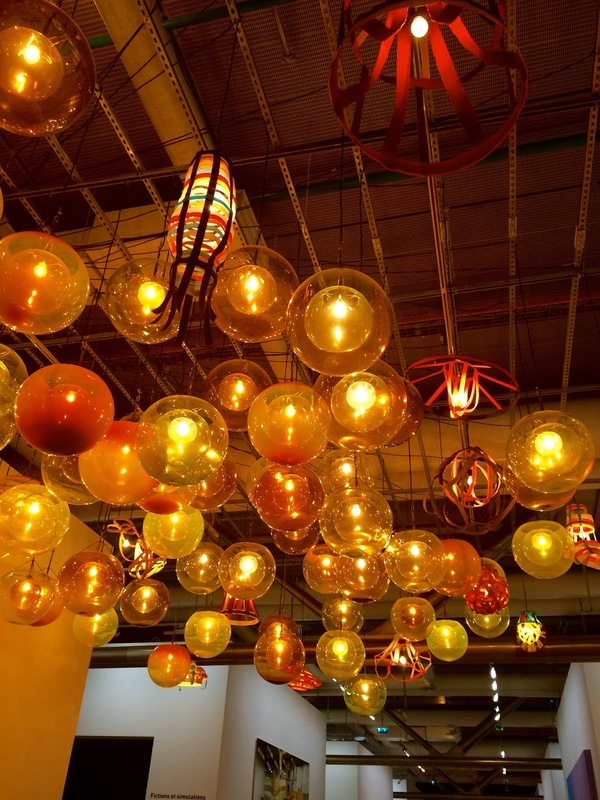 One in particular was a series of golden, illuminating orbs hanging from the ceiling. 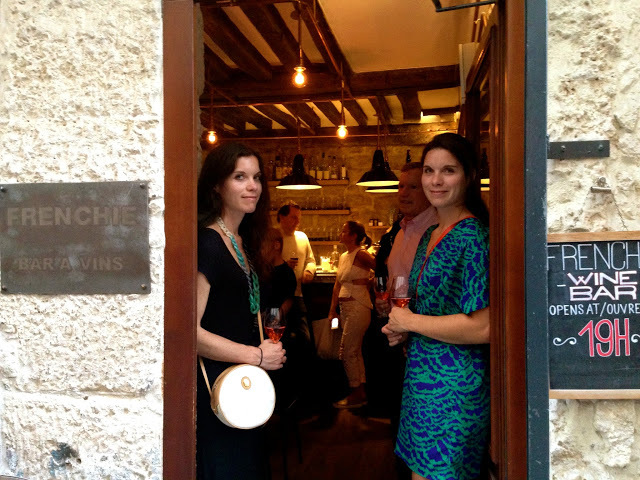 After visiting, we indulged in an equally exquisite meal at Frenchie Restaurant, a minimalist and relaxed eatery with a focused, innovative, and ever-changing menu. Among the many courses we sampled, the wonderfully chilled green pea soup served at the beginning of the meal was a highlight. Back in Cambridge with the flavors of the bright green soup and illuminating orbs spinning in my head, I created a fresh side-salad of green peas, red grapes, shallot, goat cheese, fresh mint, parsley and lemon. The stunning and simple salad was a burst of colors with freshness from the herbs, a pop of sweetness and crunch from the grapes, and a nice soft tang from the chèvre. Bring a large pot of salted water to a boil. Add the peas and cook for 2 minutes. Drain the peas in a colander and run them under cold water to cool completely. Add the peas to a large bowl. Add the red grapes, red onion, goat cheese, fresh mint, and parsley. In a small bowl, whisk together the EVOO, lemon juice, lemon zest, salt and pepper. Pour over the salad, toss to combine and serve. Serves 4-6.